Simon Chu, a Government Archivist in China and former Director of the Government Records Service, has been trying to bring archives legislation to Hong Kong to empower the records service. 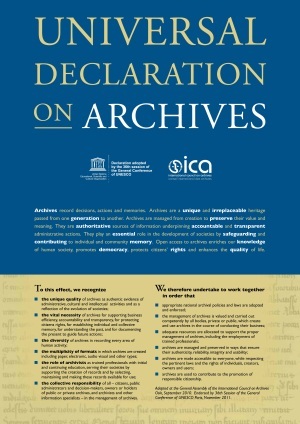 As a member of the Archives Action Group, Chu has long advocated for this cause. In an article he’s written for Human Rights in China, he cites the Guatemala case of the 2005 discovery of the Secret Police Archive as an example of the function of creating and managing records to keep archives. Currently the records service is equipped with guidelines on how public servants are to manage their records. Without appropriate legislation, records officers and archivists have no authority to enforce the proper management of records. This, Chu states, has lead to the arbitrary destruction of “six million pieces of records”. According to a November 16 blog entry in Occupy Wall Street Library, organizers have not been able to locate library materials through the mayor’s office since the materials’ seizure. Claims have been made that, “Many books [have been] destroyed. . . most of [the] library is missing…damaged or destroyed”. Incidentally organizers had begun collecting archival material as part of the library collection. In a separate effort altogether, Ben Alexander, Professor and Director of the Archival Studies Program, and Head of Special Collections & Archives, Queens College, CUNY, aims to form an archival group to support the nationally organized effort to document and capture the evolving Occupy movement. “…I do not pose this suggestion as a political comment or strategy. My interest is exclusively archival. Simply, I suggest that this movement is a defining extension of an on-going process of activism, and advocacy for Civil Rights that is at the center of the American experience. It is a defining movement of our time. Further, I believe the Occupy movement (the strategy of arguing for the interests of 99%) is shaping evolving discussions of inclusion and plurality as we enter the 21st century. As I result, I feel it important that professionals assist in its documentation and memory. I propose “Occupy Archives” as working title for this group. Most succinctly, I propose that this group establish a network of contacts and archives who agree to lend professional assistance and advice to the Occupy movement. I have contact with many members of the Occupy Wall Street movement and state their universal commitment to preserving and documenting these efforts. (Many of you may be aware of the 5,000+ volume Library at Occupy Wall Street). To get involved in Alexander’s proposal, contact him via email. 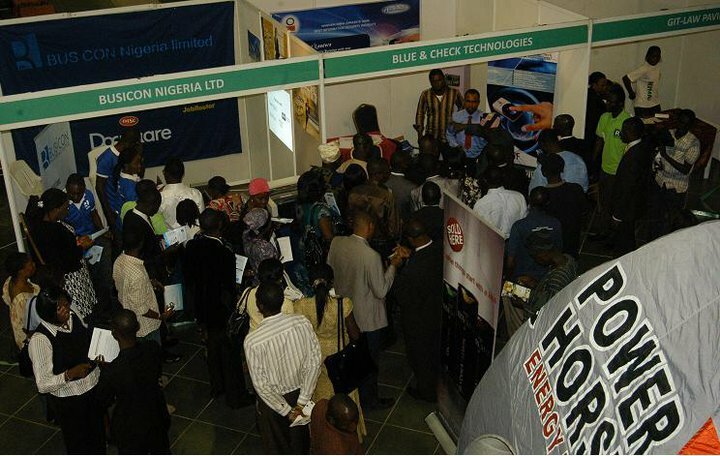 The annual Records and Information Management Awareness Workshop & Exposition (RIMAW), the Africa’s premiere and only dedicated information management and security event in its seventh year provides a forum for IT, marketing, business and information management professionals to find unlimited relevant advice, educational content and to compare solutions in a unique gathering. 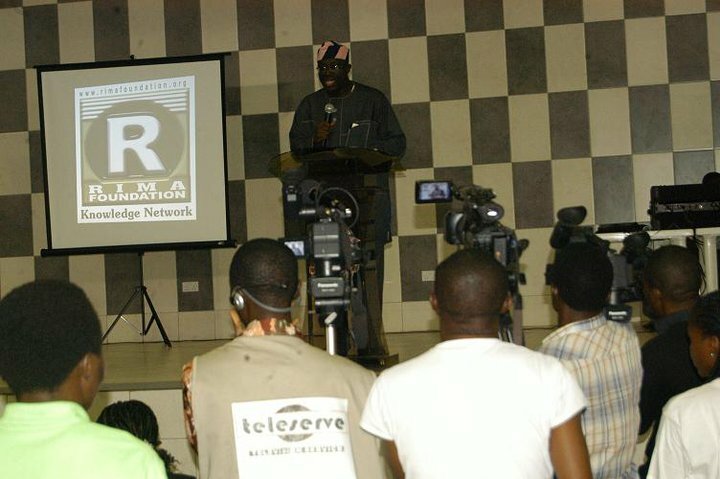 Building upon the successes of previous events since 2004, RIMA Foundation a Non-profit NGO would like to call on corporate organisations and individuals in the industry for a partnership opportunity as we prepare for the 2011 edition of this prestigious event slated for October 2011. With a truly international audience, the conference provides an excellent opportunity for you to demonstrate your support for the ongoing cause for the development of the RIM Industry especially in Africa by being involved as a partner. We have put together a number of different packages, which we hope will enable a wide range of organisations (both private and public) to participate. We also welcome advice, comments, and suggestions on how to make this year’s event bigger and better from you all.